Space tourism will someday soon be as commonplace as taking a bus tour around the streets of a city. Richard Branson’s Virgin Galactic and Elon Musk’s SpaceX are undoubtedly the most recognizable names driving this industry forward, but there’s another company that is planning to get wealthy thrill-seekers very high in the near future. 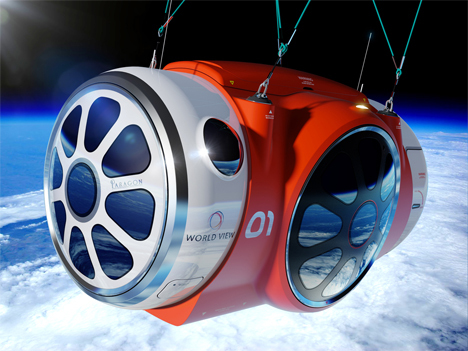 World View is a kind of stratosphere-floating capsule that brings to mind a (hopefully) safer version of the old-timey zeppelin. 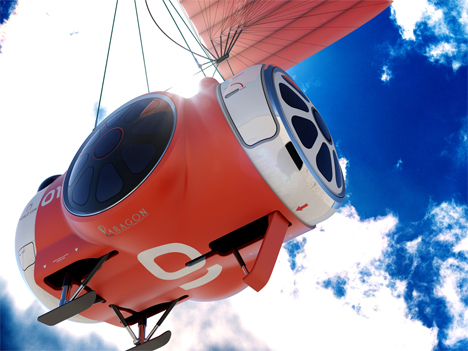 Arizona company Paragon Space Development Corporation wants to take humans 100,000 feet above the surface of the Earth, letting us view our planet from an unforgettable perspective. The zeppelin comparison is unavoidable given that the company plans to lift the World View up via a giant balloon. 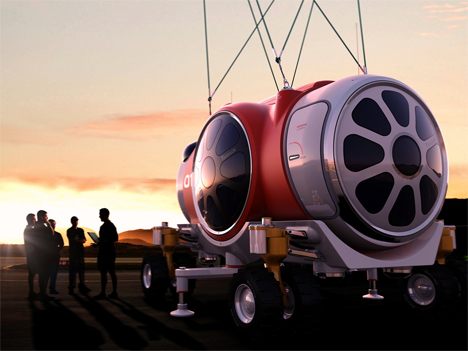 The travel capsule, designed by British designers Priestmangoode, looks a bit like a submarine. But in every other way, it is the exact opposite. Every ounce of weight matters when you’re taking a vehicle nearly 19 miles up, so the interior will be made of ultra-light materials. The designers don’t want to gloss over the experience of going where very few humans have ever gone, however, so they’ve been careful to design to the cabin to look like it belongs in space. 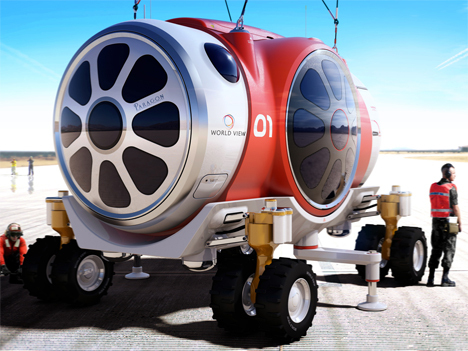 Each luxury capsule will be capable of carrying six passengers and two crew members. The four huge windows allow everyone aboard to view the spectacular sight of a swiftly-receding Earth as the vehicle is taken up by a huge balloon. The ascent to 100,000 feet takes about an hour and a half, so the company would start the tour just before sunset. The craft is able to drift around slowly for about two hours, during which time passengers could enjoy a bar area and snacks – or simply press themselves against the window marveling at the incredible sight below and before them. Although 100,000 feet up is far from space travel, the FAA has decided that the World View’s operations fall under the authority of the Commercial Space Flight folks. 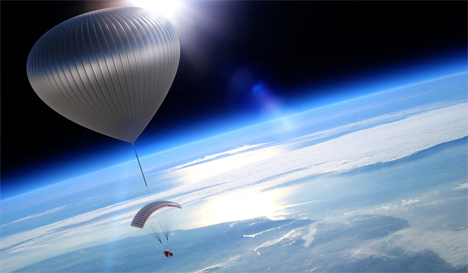 Time will tell if the fanciful idea is ever able to be brought to life, but the company is working with experts in high-altitude ballooning and safety systems unique to the high altitude. The entire operation is still in the design phase at this point. One thing that the company can say now is that a trip aboard the luxury cloud glider will cost $75,000, so start saving up now for the future ride of your life. See more in Concept Vehicles or under Transportation. July, 2014.